Fill dirt gets its name became it is usually used to fill in a depression or hole in the ground and to create mounds. Basically, it is used to somehow artificially change the grade or elevation of land, this is known as land grading. Fill dirt is subsoil, meaning that is taken from beneath topsoil. It’s taken from below this layer so that it does not contain any organic matter or biological activity. It may contain things like sand, rocks, stones, and earth. The reason Virginia fill dirt is so handy for construction projects is because it lacks organic matter. Organic matter will decompose over time which will create pockets of empty space within the fill, which could result in shifting or settling. This unevenness that is created over time can result in damage to any structures that may be built on top of the fill. Virginia Fill dirt is often used to build up the shoulder of highways so that the ground on either side of the pavement is at the same level as the pavement itself. It’s also used to make sure these shoulders are sufficiently wide enough to allow cars room to pull off of the highway if needed. Virginia Fill dirt can also be used during the initial construction of the road. Contractors can use Virginia fill dirt to make sure that the entire surface the road is going to be on is flat and even. Virginia Fill dirt is used for this because it’s lack of organic matter makes it sturdy and reliable, so contractors know they can trust it in the long run. When contracts are doing this, they are performing a process known as land grading. 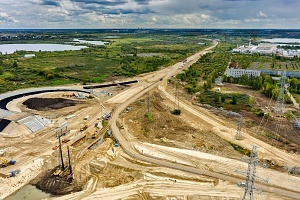 In terms of construction, land grading is a process in which land is leveled or sloped to form a base, typically called for when a foundation is needed for a building or road. Land grading can also be used to correct drainage problems, prevent flooding, level backyard space so the area is more useful, or terrace a property’s hillside yard. 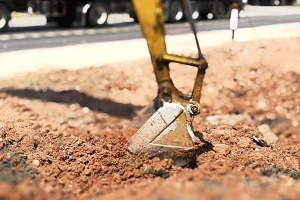 One of the most useful materials to use for land grading is fill dirt because its composition doesn’t contain any organic matter which would decompose over time and cause the dirt to shift. Land grading can be used to fix any problems an area of land may be experiencing. Virginia Fill dirt can be used for many purposes, but it is predominately used in construction projects. This is because the tightly compacted composition of fill dirt allows it to become a stable and sturdy base. Virginia Fill dirt can be used for foundational purposes such as driveways, houses, above ground pools, and highways. It can also be used to change the appearance of terrain by creating hills or filling dips and holes to create your desired foundation. Some people also use Virginia fill dirt as backfill, to secure septic tanks, to fill inground pools, and as foundational material for landscaping projects like building a waterfall or deck. Most people think dirt is just dirt. However, any construction worker or gardener knows that there is a huge difference in the kinds of dirt and how it can be used. When utilizing dirt to complete a landscaping project there are two main types of dirt that differ from one another; topsoil and fill dirt. Topsoil is the topmost layer of dirt and is full of nutrients and organic matter that make it ideal for growing plants. Topsoil typically is the first six inches of dirt, however, this can vary depending on where you live. But, when it comes to topsoil there are actually many varieties, and you should choose which soil is right for you based on what you plan to use it for. 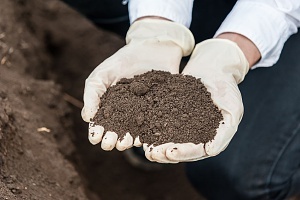 There are seven different types of soil which include clay soil, silty soil, loamy soil, sandy soil, peaty soil, saline soil, and chalky soil. Each of these soils has a different compositional makeup which makes it better for growing certain plants or flowers, and certain soils perform better in some climates than others. Below the layer of topsoil is where you find fill dirt. Fill dirt is great for construction and landscaping projects, but it’s not ideal for supporting plant growth. Remember that fill dirt contains no organic matter, which is why it is unable to support plant growth. This is one of the reasons why selecting the right dirt is so important. Some people hear the term yard of dirt and are instantly confused. A yard of dirt actually refers to the cubic yard measurement of volume. So if you have 1 cubic yard of dirt, you have enough dirt to fill 1 cubic yard of empty space. A cubic yard is 1 yard (3’) wide, long, and high. There are 27 cubic feet in 1 cubic yard. This is the language of fill dirt. It’s necessary for you to use to figure out how much dirt you need. It’s necessary for your Virginia fill dirt contractor to know how much to sell you, and also how many dump trucks your project is going to require. Knowing how much dirt you need is crucial to the ease and success of your project. 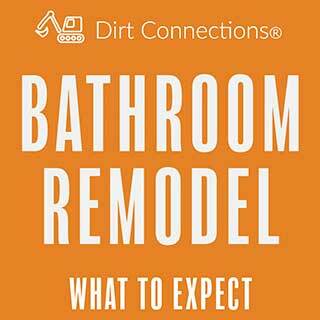 Getting too much dirt can be a hassle to deal with, no one wants excess dirt just lying around. 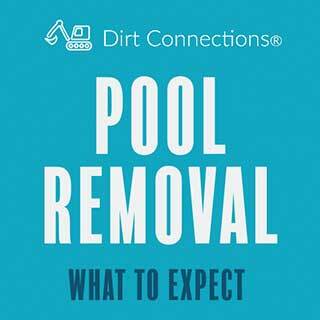 Not enough dirt can also present serious complications with the timeline of your project, as it could potentially cause major delays. 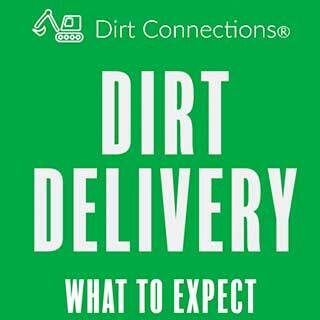 Reach out to a professional Virginia fill dirt contractor for more information and to schedule your free dirt delivery.